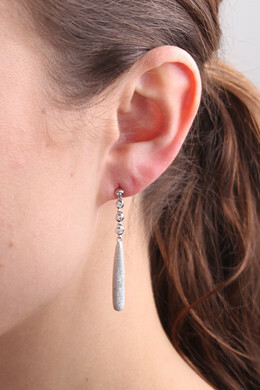 Our exclusive Sterling Silver Collection: Radiant and very feminine long lined drop earrings in Sterling Silver. 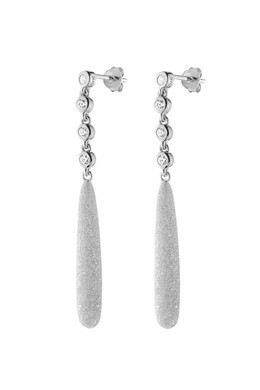 The earrings are created with a row of six crystals and the drop pendant has a beautiful diamond sparkle finish. 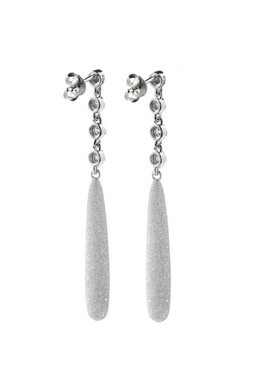 The earrings are perfect with your best evening dress but will also dress up a pair of jeans and a white T-shirt. Studded and with butterfly closure.